Susan Simmons is a photographer of people. Her photographs capture the realism of her subjects’ lives. They are neither romanticized nor minimized. They are straightforward and clear. And yet, in them, you see the magic of the human spirit, as if each of her subjects knows a secret or carries a unique brand of happiness within. She is currently studying for her MFA at Cranbrook Academy of Art in Bloomfield Hills, Michigan, where she lives with her 10-year-old daughter. Q: How long have you been taking pictures? A: When I was in high school, my father took me to B&H and bought me an Olympus OM-10. That was my first “real” camera. We always had small point-and-shoot cameras around the house, including some Polaroid cameras. My dad was the “family photographer,” and he shot slides on an Argus. I now have those slides and have incorporated them into older work but haven’t looked at them in years. So early on, I was taking pictures. It just took me 20 years to accept photography as an art form in the same category as painting and sculpture and all those other disciplines. Q: Before picking up a camera, did you have other creative interests or pursuits? A: I have always been interested in art. I grew up an hour from New York City, and my family and I would spend time at the museums in the city at different times throughout the year. I loved painting and sculpture and drawing—all of it. And I did all of it, mostly in school or in outside art classes. Q: What is it that you enjoy about photography? A: For me, photography and the history of photography are fascinating. First, it’s democratic. It took the aristocracy’s idea of portraiture and turned it on its head by making portraiture available to the masses. I think photography has changed the history of art by making just about any image reproducible (read: Walter Benjamin). I am also amazed at the power of a visual image to bring about action and change. Photography questions the meaning of art, the meaning of reality. It questions just about everything. I also think photography is hard because it requires so much thought and meaning in order to elevate an image to a work of art. Q: How well do you know your subjects, if at all? A: I generally know my subjects. For the most part, I am not a street photographer, and I am not interested in being a street photographer. I am interested in photographing the relationship between the subject and the photographer over time. I am interested in exploring that power dynamic and pushing the edges of my role as a photographer. At what point is it exploitation? Also, I’m interested in truth and messing with truth. I have a classic documentary style, but I’m also trying to stage things and mess up the idea that a photograph is inherently true. All of these elements make portraiture interesting for me. Q: What do you see as the role of photography in your life and in your subjects’ lives? A: My camera has become an interlocutor in my life. It’s become a way for me to see and understand the world. Without the exploratory part, photography loses its interest for me. It becomes rote and commonplace. Photography has opened many doors for me and has brought many interesting people into my life in an intimate way. In terms of my subjects, I can’t really speak for their experience directly. I do know many of my subjects feel that through a photograph I have taken of them, they understand something new about themselves. I am always surprised by this response. Q: I know you’re in school getting your MFA; how is that experience going? A: Grad school is one of the hardest things I’ve ever done. My only regret might be that I didn’t attend sooner. I’m at Cranbrook, which is a studio-based program. I’d say critical thinking is the core curriculum we participate in here. It’s difficult to examine your work and yourself so closely on a regular basis. The highs and lows are dramatic, and I wouldn’t be lying if I said I’m looking forward to graduating. At this point in my life, I think I’m getting too old for existentialist crises. Q: Most of us have been in school, before we’ve had children, but how is it to also be a parent and be in school? A: I don’t recommend it, but I also think you shouldn’t limit yourself and/or your possibilities just because you have children. So if you have kids, then you just have to go for it. I am a little jealous of the freedom and time most of the other students have here. I feel a tremendous amount of pressure. On top of my academic responsibilities, I have my daughter’s needs to consider. We relocated from Texas so I could go to graduate school here in Michigan. I certainly didn’t choose the simplest path, but maybe it’s hard for everybody or maybe anything worthwhile is hard. I’m a single mom, my daughter is 10, and I didn’t want to wait another 10 years. I also think I’m setting an example for my daughter not to limit herself. In the long run, I believe it’s better I do this than not. Q: As you know, ESME is a resource for Solo Moms. Your journey to becoming a Solo Mom was particularly tragic and sudden. We all deal with loss in our lives, to different extents. What have you learned through your loss and in the years since about being a mother to your daughter? A: Being a widow is not something I ever anticipated, not at this point, anyway. Community has taken on a whole new meaning, and creating community is not something I’m naturally good at. I have to create strategies and be proactive. And, like many people, I hate asking for help but understand the importance of it and do it anyway. Lastly, I’ve had to take a hard look at the loss of my identity as a wife and part of the heteronormative culture. I’ve had to find myself again. It’s much deeper and richer, but sometimes I wish for that Cinderella journey. I am still learning a lot. In many ways, graduate school has been a dissection of this journey. I am hoping to come out on the other side feeling more whole and open as a person. Q: As your daughter gets older, do you think you will have more time to explore your work? A: I am sure I will. Recently, I’ve explored ways to include her as part of my work, but I’m not convinced by it yet. I’m still trying it out. The beauty of art is that it’s a lifetime endeavor. It’s a way to add meaning to your life. A: I am exploring ideas around community, location, and dislocation. I believe the most fulfilling communities are derived from a symbiotic relationship between geography and values. 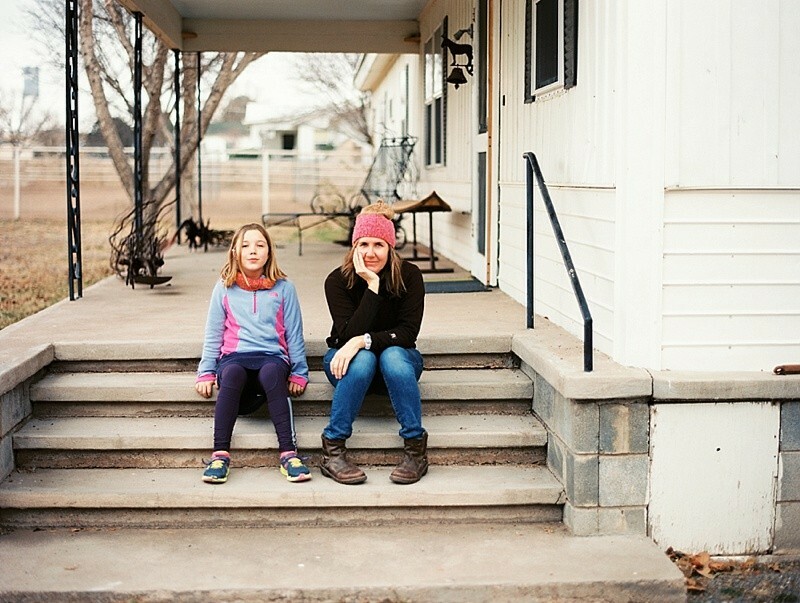 I believe these communities are rare and partly explain why my friends from New York City love it so much and why Marfa [Texas] is such an interesting experiment and why I am so at odds with Detroit and living here. I’m not sure about this Detroit Renaissance they are all talking about, and, of course, my experience of Detroit is singular to me being in the suburbs because Cranbrook is in the suburbs. So maybe it’s more about the deadly nature of the suburbs. So yeah, ideas around displacement because, after all, I am a Displaced Housewife . . . yes, that’s a legal term; did you know that? I only fully realized it recently. You can see more of Simmons’ work below. Inquire about commissions at www.susan-simmons.com. Meghan Gerety is an artist from New York City who currently lives in Marfa, Texas, with her seven-year-old son.